Appreciated and elegant Hotel in Forl , the Best Western Hotel Globus City is a modern structure, located near the fair at just a few kilometers from the highway A14 exit Forl . The Best Western Hotel Globus City offers spacious and inviting rooms, equipped with wooden floor and with all the modern comforts. Several rooms are also equipped with Jacuzzi hydro massage. All the rooms are perfectly soundproofed. The famous restaurant I Meridiani offers a particular local cuisine, with a wide menu that includes also tipal romagna's dishes and food like meat and fish. I Meridiani restaurant is recommended by prestigious gastronomical guides, like Michelin. The new and exclusive free Wellness center is equipped with swimming pool that has different kinds of hydro massage, sauna, Turkish bath salt's room, aromatherapy and fitness center, for a beautiful and re-generating relax after a busy day of work. Into the Best Western Hotel Globus City there is also a modern and well equipped meeting center, with several meeting rooms those can accommodate up to 240 person , with the complete assistance of professional and well qualified staff. 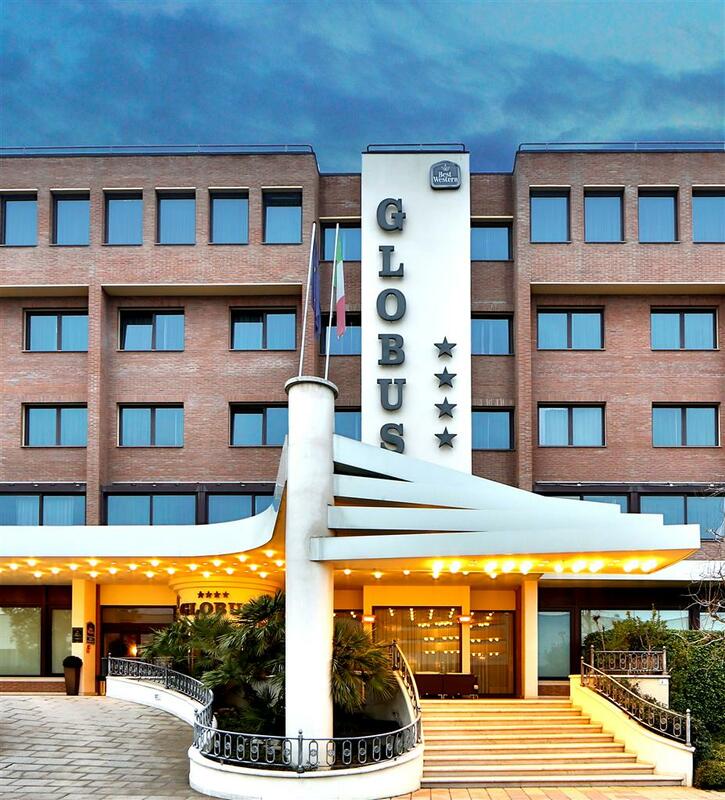 For a memorable visit to Forli Italy, book a stay at the Best Western Globus City today. I Meridiani: I Meridiani, on premises, full service, Italian, open for: lunch, dinner, serving local and Italian cuisine, 12:30 p.m. to 2:30 p.m. and 7:30 p.m. to 10:30 p.m.
From: G. Marconi Airport. Take Highway A14, towards Ancona. Take exit Forli. Follow specific directions to the Best Western Hotel Globus City.